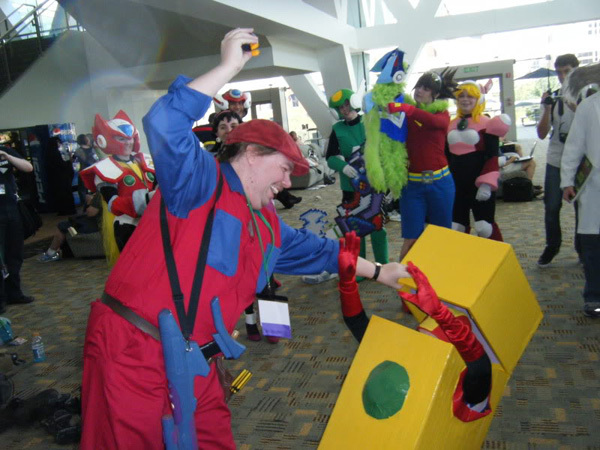 For the past several years, I have been attending an anime/video game/Japanese pop culture convention in Baltimore known as Otakon. The name may also seem familiar to those who enjoy the Metal Gear Solid series for being a slight variation of the nickname for the character Hal Emmerich. Of course, one of the larger aspects of this convention-- to say nothing of most others of this kind, including comic book and science fiction conventions-- is cosplay. Or, more simply put, wearing costumes of your favorite characters around for the weekend. One thing I noticed is not only are there a lot of Marios, but they were also largely the same: regular blue denim overalls, white cartoon gloves that aren't so cartoony, and oversized fake mustaches are often common elements. While these aren't bad, something about them just didn't feel right to me. The truth is, I'd always admired the more unique costumes people would wear: Box Gundam, Rabbi Wolfwood, and God help me, even Sailor Bubba. Some cosplay were good, some were bad, but these were the ones that stood out from the crowd. And then, while browsing these boards earlier this year, inspiration struck. 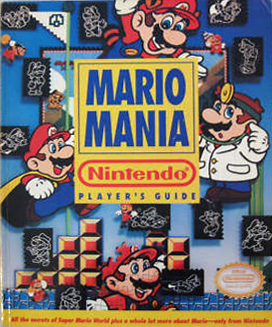 I've been a fan of Mario for almost as long as I can remember, dating back to the late 80's, when I first had the opportunity to play Super Mario Bros. and"Mario Mania" was sweeping the nation. The game, the story in the manual, I was hooked. And when it came time for the Console Wars of the 16-bit era, Iknew which side I was going to take (though to be fair, there was some good stuff on SEGA's Genesis, too). As time went on, Mario would see many different iterations across the media, from the games to the cartoons to the comics, and I was a fan of it all-- some more than others, admittedly. And that included the movie, which I went to see on opening day. Of course, as we all know, the movie did not do well at the box office, to say the least. Over the years, there would be many reactions to it: some hated it for "what it did" to Mario, while others would grow to love it in that "so bad it's good" way. Some would not discover it until much later and enjoy it as a simple novelty, and still others managed to enjoy it for what it was: more of an alternate dimension, darker, more "realistic" (so to speak) take on the Super Mario Bros. mythos. Me? I've always been in the latter group. I've long seen it as being the thematic Mario equivalent to the Sonic SatAM cartoon, though the hedgehog's version would prove to be more popular and enduring among his fans at the time. What can I say? I've always been a big fan of Mario, whether he's portrayed by the late Captain Lou Albano, Walker Boone, Charles Martinet, or Bob Hoskins. Each has brought their own unique charm to the character, and together have formed a true legacy. Naturally, part of that appreciation led me to discover this site and its forums. And early this year, I took note of what Marioblaster was doing with a fan film project based on the movie, complete with costumes and props. Anyway, impressed with what I saw, I asked if he did commissions. Instead, he approached me with an offer to sell the items he used in his film to help recoup the costs. I immediately leapt at the opportunity. I wasn't able to get everything, though. He had already sold the toolbelt, which was too rich for my blood anyway, nor did I get the tools. Instead, I simply purchased the coveralls, hat, and the Devo Gun replica he created. I did a little local shopping for the rest, using a common candy-filled Bob-omb as a prop. The hardest part was the tool belt; I couldn't afford to get one of the quality seen in the movie, or even Marioblaster's own production, and even if I wanted to, finding one in that type of color around here was pretty much impossible. Most tend to be nylon, with greys, blacks, or other colors. But at the 11th hour, I managed to find a pouch that would do the job, and combined it with an old, worn belt which matched fairly well. By the time we were ready to leave for Otakon 2011, I had managed to get everything I could together. 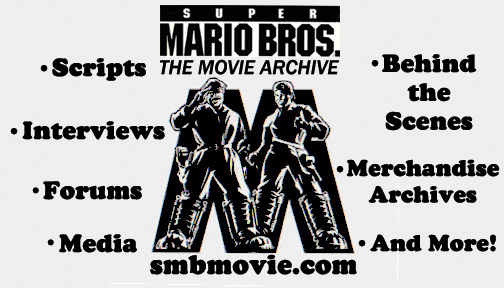 Rather than simply being "Movie Mario," I considered this an homage to old school Mario in general. 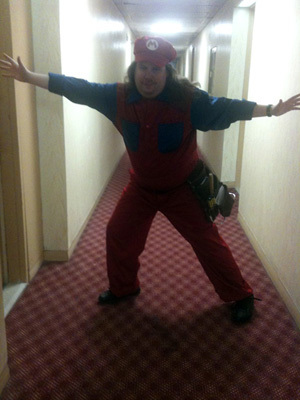 To that end, I even had a spare Mario hat, this one with the "M" emblem on it, to wear with my long hair down. I didn't actually wind up pairing that look with the costume, but it might have been an interesting amalgamation of Captain Lou and Bob Hoskins' versions. Also prior to the convention, I decided I wanted to spread a little bit of love for this website around, and so I created "business cards" to hand out to anyone who might want a picture, as well as distributing small stacks among the other fliers littering the tables all throughout the convention center and its halls. Unfortunately, the plan to go to a printer and use actual business card stock fell through, so I wound up printing out around 150 of them across regular sheets of printing paper. Following that, I cut them into small business card-sized pieces to fit in my belt and pockets to carry around. As for reception to the costume itself? It wasn't quite enormous, but it was better than any of the other costumes I'd worn on the few occasions I had done so. I was stopped for pictures several times, as some people recognized me as Mario, while others did recognize me as "Movie Mario" or "Bob Hoskins Mario." And I stopped and posed for pictures for anyone who would ask, often giving them two main poses: one of me winding up the Bob-omb, and another with the Devo Gun armed and ready. Others would ask about the Devo Gun, a prop created from combining and painting two Super Scopes with some extra pieces added on. The most mind-blowing was when one girl actually stopped me, and upon confirming I was indeed portraying Mario from the movie, she actually hugged me for wearing that costume. And I'm not talking about a small child, either; we're talking about a full-grown young lady. It was pretty awesome to have that kind of impact on someone. The group I run with at the convention are Mega Man fans, and while I've yet to return to dressing up for that, I still went to hang out with the group during OtaRockman. I wound up getting into some pics, despite thematic differences, including a few showdowns and a case of trying to shove a Bob-omb down into Heat Man's boxy armor. 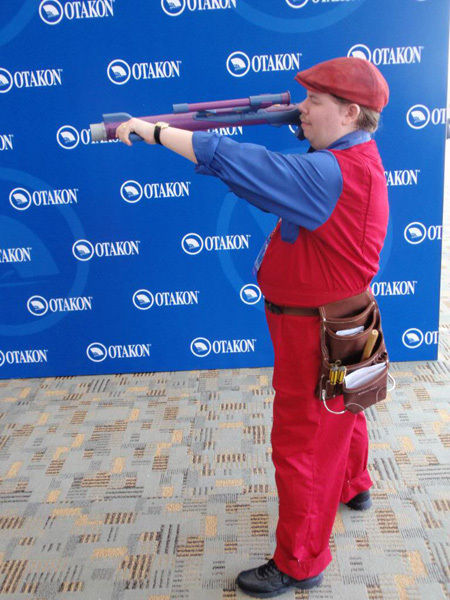 I did, however, get to show the costume to some folks from Nintendo, who enjoyed it, as well as the current voice of Mario, Mr. Charles Martinet, who we'd hoped would be able to appear as a guest for the 30th anniversary of Mario, but the convention brass were apparently not interested. Nonetheless, he said it looked wonderful-- high praise indeed. But, the story isn't quite over yet. On Halloween this year, I took the opportunity to dress up as Mario once again, though I did opt for the "M" hat this time, but kept my hair up. We didn't do much for Halloween except go to see a special showing of...Ghostbusters. On the bus ride there, some children recognized my costume, and I greeted them accordingly. Funnier still was when their mother's phone went off... and it was playing the Super Mario Bros. theme tune. More fun took place at the theater, when I was in line for concessions, and spotted someone dressed as Inspector Gadget. "You were on my show once!" I told him, and after a fleeting moment's pause, he realized I was right. I saw him again on the way out, walking with some guys in Ghostbusters costumes, and called out to get a DiC Trio picture, but either they didn't hear me, or were ignoring me. I weep for the missed opportunity. The business card used by David at Otakon! Feel free to download it and use it yourself! 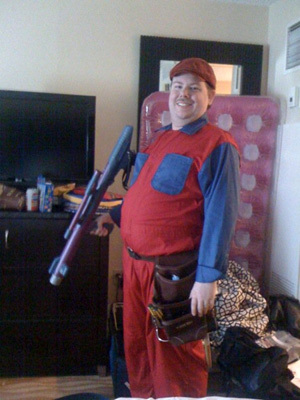 In addition to doing something unique, I'm hoping that this might convince other convention-goers to dress up in their own Super Mario Bros. movie costumes, be it as Mario, Luigi, King Koopa, or even a Goomba, and spread a little love for the film which brought us all here. And you can spread love for the site, too, by printing out the card design above and spreading them around.